These are black zinc coated stainless steel T-posts. They are used for mounting sheath and holster attachments where head clearance may be an issue. 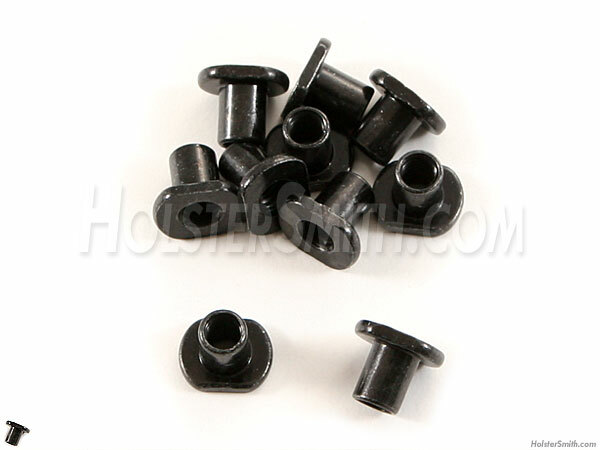 Because they are pass-through, almost any 8-32 screw can be used. Some users also like to reverse their mountings to make the attachment more secure. These will fit any screw with an 8-32 thread.